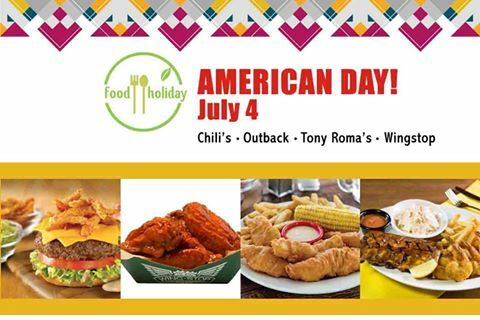 Don’t miss the Food Holiday at Alabang Town Center with Amercian Day on July 4th! It is America’s birthday on Fourth of July and Filipinos can celebrate too with these awesome food deals and discounts. As a bonus, Alabang Town Center diners can also get a free cinema gift card worth 200 pesos and a raffle entry to win a 3,000-peso dining spree at the end of the year! Visit their Facebook Page for the FULL mechanics of the promo!